Take this lightweight, portable mini vise with you wherever your robot goes! 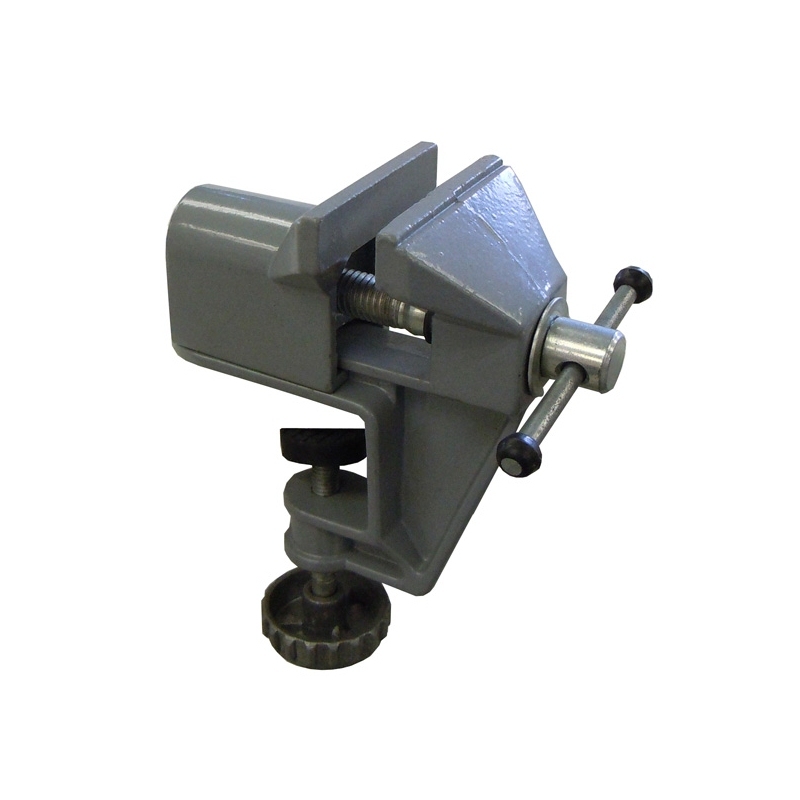 Tabletop clamping design can be securely mounted to any table up to 1-1/2" thick, allowing you to safely and easily cut and drill parts wherever you are. 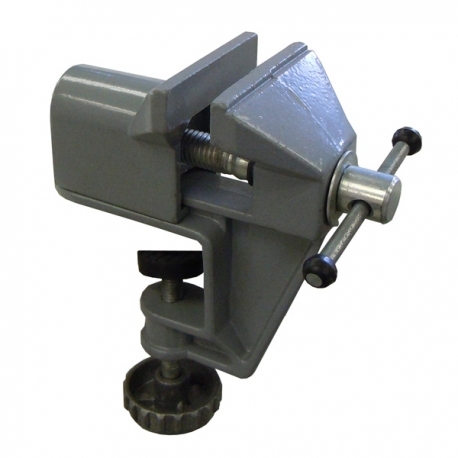 All-metal design with full cast aluminum body and chrome plated steel screw, featuring a 60mm maximum jaw opening and weighing about 1 pound, make this vise suitable for any on-the-go VEX needs. A must have for any VEX Robotics Competition teams!